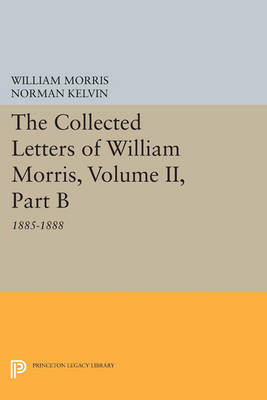 These volumes continue the only complete edition of the surviving correspondence of William Morris (1834- 1896), a protean figure who exerted a major influence as poet, craftsman, master printer, and designer. Covering the years 1881 through 1888, they treat the most dramatic period in another facet of Morris's career: his work as a political activist. Originally published in 1988. The Princeton Legacy Library uses the latest print-on-demand technology to again make available previously out-of-print books from the distinguished backlist of Princeton University Press. These editions preserve the original texts of these important books while presenting them in durable paperback and hardcover editions. The goal of the Princeton Legacy Library is to vastly increase access to the rich scholarly heritage found in the thousands of books published by Princeton University Press since its founding in 1905.